Champion is taking on the esports industry. The athletic brand is partnering with Team Dignitas in a multi-year partnership that marks the brand’s first esports team and franchise partnership and foray into the esports ecosystem. The brand now becomes Team Dignitas’ Official Jersey, Casual Wear and Athletic Wear Provider, launching a new casual, fan-focused apparel line and online store alongside the franchise’s highly anticipated Fall 2018 rebrand. 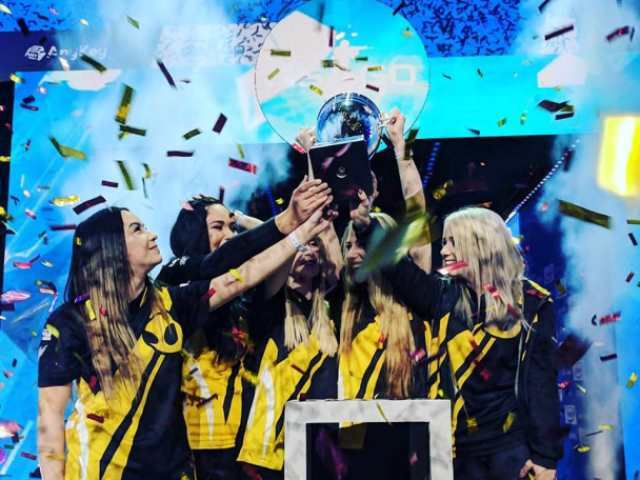 Acknowledging the growing women’s esports fan and player base, heightened by the popularity of Team Dignitas’ World Champion Women’s Counter-Strike: Global Offensive Team, Champion will develop a Team Dignitas-branded women’s apparel line. The deal will see Champion leverage its substantial resources and best practices in merchandise, customer service and product distribution to design and operate an online retail platform for Team Dignitas fans. Beginning in Fall 2018, and alongside the franchise rebrand and associated merchandise launch, Champion logos will appear on all Team Dignitas’ player jerseys. In association with the partnership announcement, 12 popular Team Digntas players, including World Champions, including Amanda “rain” Smith (Team Dignitas Women’s CS:GO), and Jos “VioletPanda” va Meurs (Team Dignitas Rocket League) will stream “unboxing” videos of Champion.